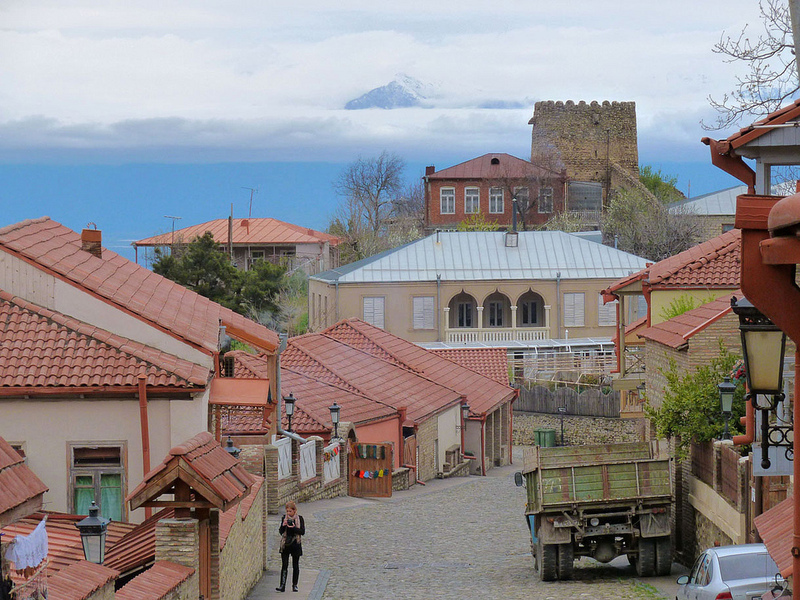 Situated on steep hills overlooking the Alazani Valley and facing the Greater Caucasus Mountains, the town of Signagi (Georgian: სიღნაღი), in Georgia’s easternmost region of Kakheti, is a popular destination for tourists. In recent years, the town has been transformed by reconstruction and building. 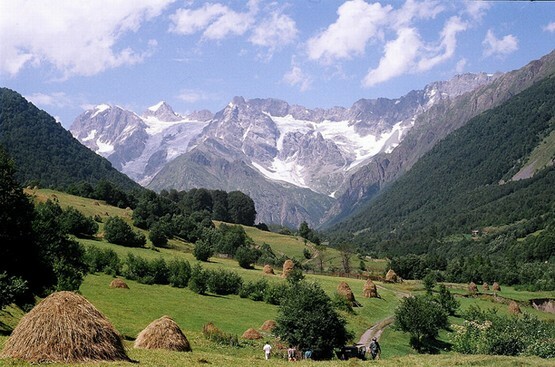 The town is known for its carpet weaving, wine production, metal crafting, ceramics, wood carvings and leather work. 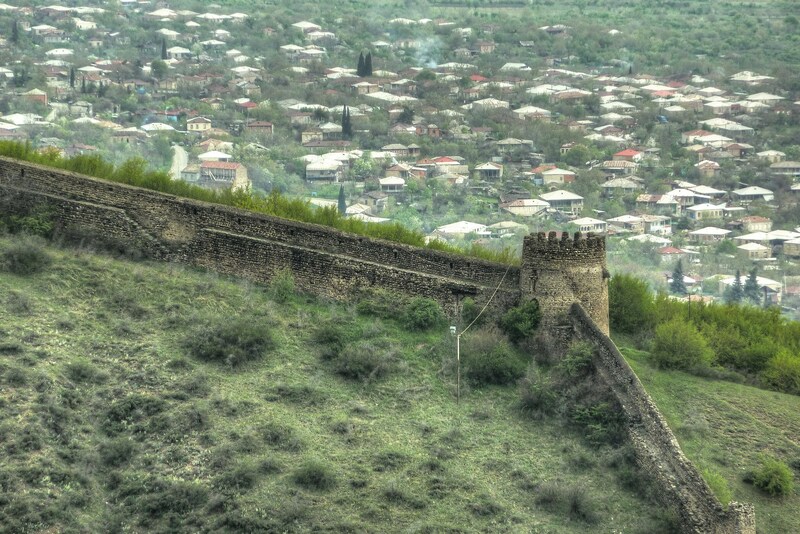 The town was fortified in the mid-18th century by a 4.5 km wall, built by King Heraclius II to defend the area from attacks by tribesmen from Dagestan. The wall has 23 towers (each one named for a nearby town) and 6 gates. Signagi’s 18th century walls. Photo by Roberto Strauss via Flickr. A section of the wall has been restored and can be entered through the tower at the gate on the road to Sakobo/Tsnori. 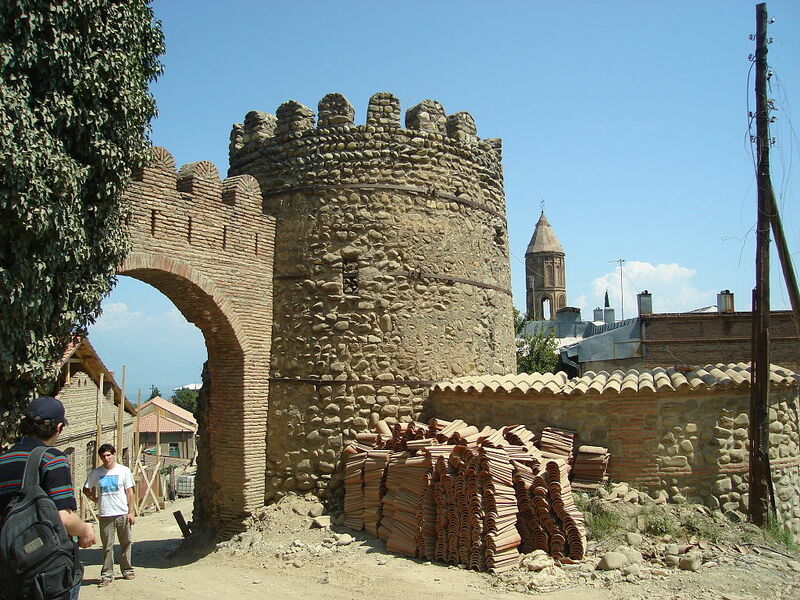 18th century gate in Signagi undergoing restoration work. 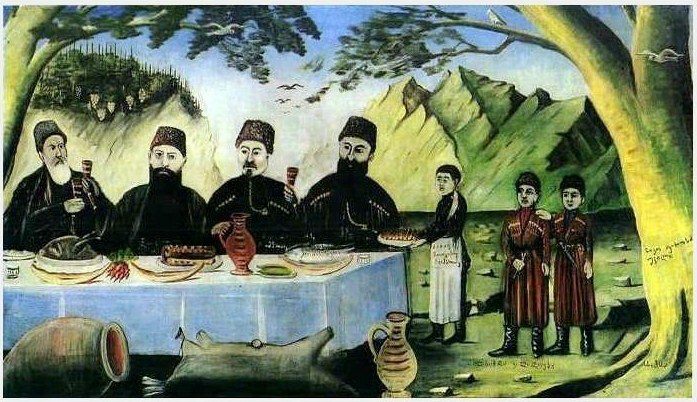 The Signagi Museum has a permanent exhibition of the renowned self-taught Georgian artist Niko Pirosmani (Niko Pirosmanashvili) (Georgian: ნიკო ფიროსმანი). 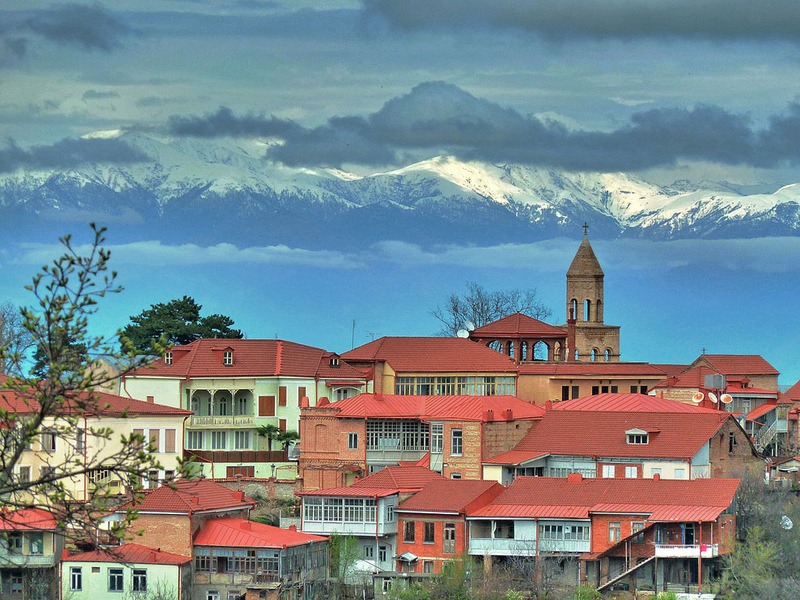 Pirosmani was born near Signagi in the village of Mirzaani in Kakheti. The Monastery of St. Nino at Bodbe (Georgian: ბოდბის წმინდა ნინოს მონასტერი) is located 2 km from Signagi. 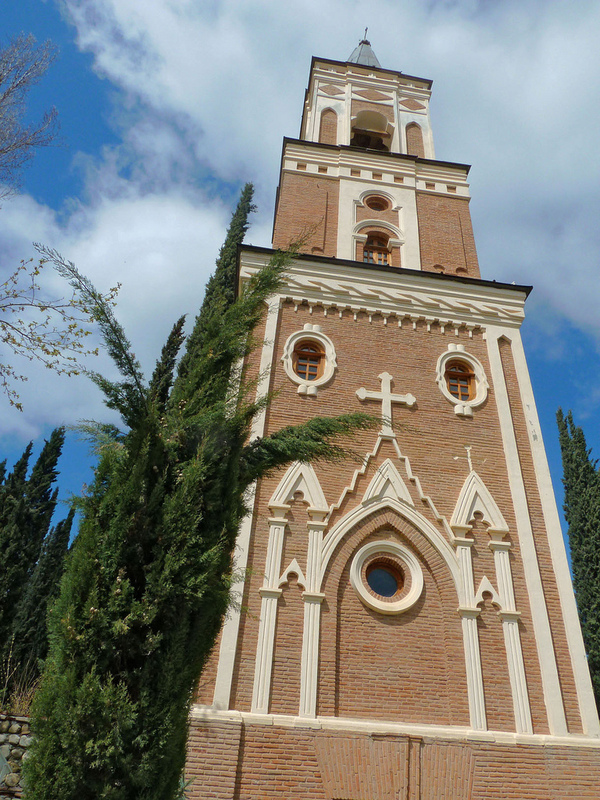 Associated with St. Nino, the 4th-century female evangelist, the monastery is one of the major pilgrimage sites in Georgia. Bodbe Monastery. Photo by Roberto Strauss via Flickr. How to get there? 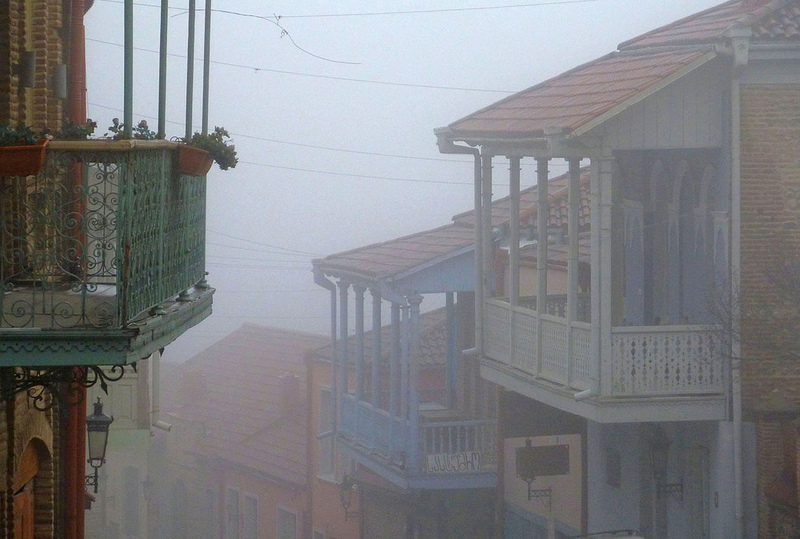 Minibuses run daily from Tbilisi’s Samgori station at 09:00, 11:00, 13:00, 15:00, 17:00, and 18:00. Travel duration is 1.5 hours, cost 6 gel, with the same schedule returning. I’ll be visiting Georgia next week. What dates (sept/oct) are best for the wine harvest etc. 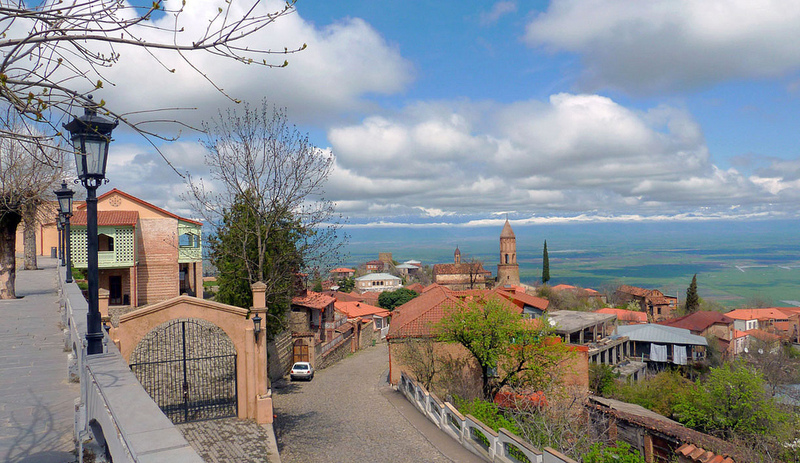 to visit Sighnaghi?